Barebells is a Swedish company that makes a variety of delicious looking protein food and snacks, available throughout Europe and the UK. After seeing how good the brand’s lineup looked, we knew we had to try something, so we decided to pick up the Barebells Protein Bar. 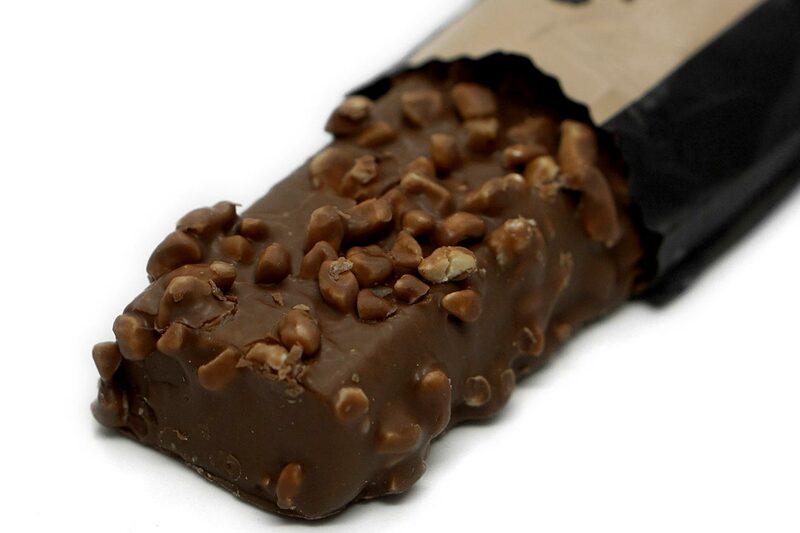 The nutrition profile of the Barebells Protein Bar is actually one of the leanest ones you’ll find for a bar. Each 55g snack provides the usual 20g of protein primarily from milk protein, 8.3g of fat (4.2g saturated), just 14g of carbohydrates with 1.7g of that sugar, for a total of around 200 calories. The nutrition numbers do vary slightly between flavors, which it has four of in Salty Peanut, Caramel Cashew, Cookies & Cream, and Coconut-Choco. One of its key formula highlights is that it has no added sugar with each flavor also featuring pieces of its title, for example, Salty Peanut has peanuts. The best way to describe the taste of the Barebells Protein Bar is as absolutely insane. The product tastes as much like a candy bar as it looks on the outside with a combination of flavors and features that will make you feel like you’re definitely cheating on your diet. The two flavors we’re reviewing are our two favorites, Salty Peanut and Caramel Cashew. Both bars are coated in a very sweet chocolate, that’s delicious, although unbelievable not the primary highlight of the Barebells Protein Bar. 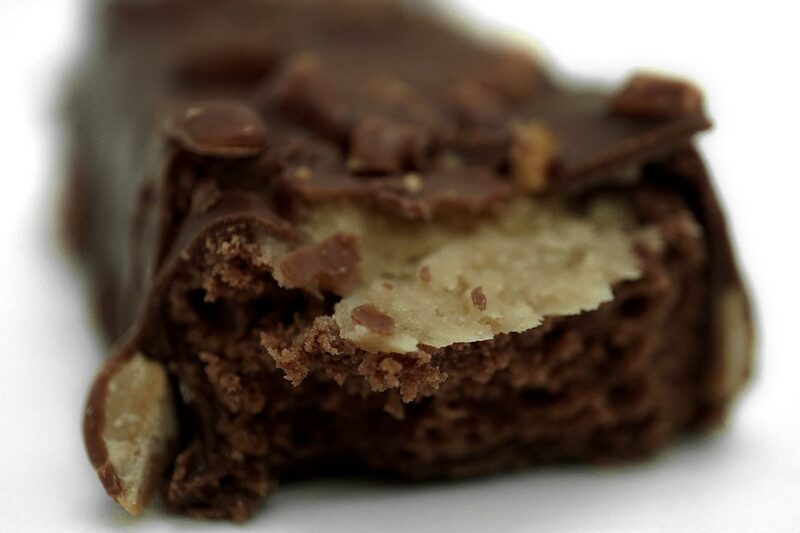 Where the bar really makes for an unforgettable snack is with its upper inside layer. Barebells has put together an extremely soft, salty, gooey caramel that takes the bar to a whole new level. The combination of the caramel, slightly doughy center, and chocolate coating, creates a flavor-filled experience that gets better with every chew. As per their titles, our two favorite Barebells Protein Bars do have nuts in them with peanuts in Salty Peanut and cashews in Caramel Cashew. Not too surprisingly their flavors are difficult to notice over the sweet chocolate and gooey caramel, but they do add some unique consistency as you chew through the bar. We’ve had candy like protein bars in the past, quite a few of them actually, and the Barebells Protein Bar truly trumps them all. There are a number of bars out there that do a sweet chocolate coating like Barebells; however, it’s that incredible caramel mixed with the chocolate that puts it over the top.